Maggie over at Maggie's Kinder Corner is having a Classroom Themes Linky Party and I'm linked up! Head on over to her blog to see what everyone is gearing up for! This is my newest obsession...that I am rolling into the new year with. He's hip, he's cool, he's got such a positive attitude...Pete the Cat! I guess all those blog posts I read from Fran at Kindergarten Crayons wasn't enough to wake me up to the awesomeness that is Pete. I try to use a quote from a book as my banner theme for the year. Last year it was "Believe in yourself and the world will believe in you too." from Stand Tall, Molly Lou Melon, perfect for entering a new year at a new school that was devastated by a tornado. This year, I have bitten by the Pete bug! I love his "it's all good" attitude. Pete the Cat I Love My White Shoes is perfect for teaching colors, too. Still working on the title for my bulletin board, but I have my desk plates, name tags and calendar pieces ready to go. And....I want to share them with you! Clipart is by MelonHeadz Illustrations and KPM Doodles! 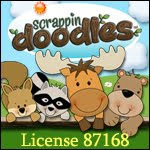 Backgrounds by Scrappin' Doodles and Lettering Delights! Click on here for the August/ September calendar pieces! Click here for name tags! If you have tried to get these and it wouldn't give you access....try now! Sooo sorry!! Click here for desk plates! How will you be kicking off your year? What cute desk plates! I have used Pete the Cat, and want to buy the new Christmas book. Have you purchased Eric's music cd? I was wondering if you like it? LOVE Pete the Cat! 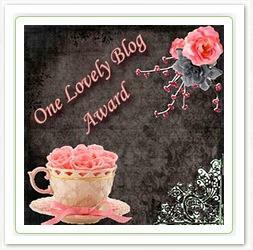 BTW, make sure you stop by my blog and join because my first giveaway is going live in less than 24 hours!